This entry was posted in HCV Health, HCV Risks (documented), Jetgun Claims evidence, Nexus Information, VA Medical Mysteries Explained, Vietnam Disease Issues, Vietnam War history and tagged ASKNOD BOOK, asknod.org, asknod@wordpress.com, Disabled Veteran, DIY vA Claims, Gulf War Vets, HCV Decisions, HCV Health Tips, HCV Veterans, HCVETS, Helping Veterans, Korean War Vets Help, Service Connection, VA claims, VA HCV Claims Help, Veterans Benefits, Veterans claims help, Vietnam Veterans Claims Help.. Bookmark the permalink. 8 Responses to WE MADE NEWSWEEK–FINALLY. I agree with SPrice, I re-read the entire article and hopefully with the issue out in the open more vets will get better treatment sooner. 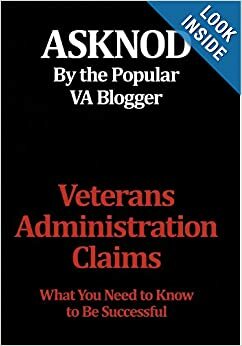 However, unless things have changed it is still near impossible to get this service connected on down the road, or has it become easier for say a Vet with a Purple Heart to come into the VA and get HCV rated especially if he had not been in the system for those 20 years? Maybe my view is clouded from my recent reading our hosts book. Boy howdy Gary. If you have a combat medal such as a Purple Nurple, we can sure get you SC in a New York minute. That’s a cakewalk. You get the 38 USC 1154(b) combat enhancement such that everything you say about what happened……happened. Extraterrestrial involvement would queer the deal though. It still wasn’t a cakewalk. Only because we were after the hep c connection. If you remember we had to hire Ken Carpenter to even get a C and P exam. He even had a nexus from his liver Dr that said it was more likely than not from Combat and jet gun. 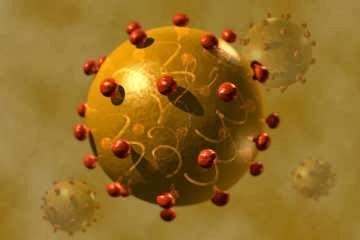 Agent Orange claim was a breeze compared to the hep c. I’m glad people are getting more wins now . They never made it easy for us. Good respectful article about another tragic case. How the VA could not inform this patient about his condition for a decade is malpractice. The stories came from our members and proof was provided. Too bad they did not mention how difficult to get service connected late in the game and if not connected no care unless 50% already, true? The author emailed us asking for info because he was writing a story for his paper about the new treatments. A few days later he emailed to say thank you but his paper was killing the story and maybe some other time. So there was no more story. But we kept talking. We talked so much I was afraid we’d overwhelm him. So for somebody who didn’t know much about veterans, hep c or the VA when he started, I think he did an amazing job. He got the truth and he put it on Newsweek.